Santorini is an island of diverse beauty and enchanting sunsets! 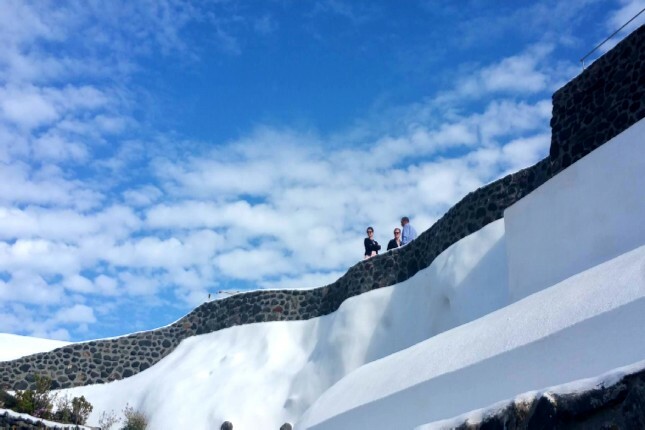 It offers stunning views from villages hanging off the 1000-foot cliff, the volcano with the hot springs, the striking Black Beach and a famous wine tradition that goes back to the ancient years. The tour starts from the Old Port, where you will take the cable car to the town of Fira. There, at Fira town, your local tour guide along with your vehicle will be waiting to welcome you and together you will explore the unique attractions of the island. 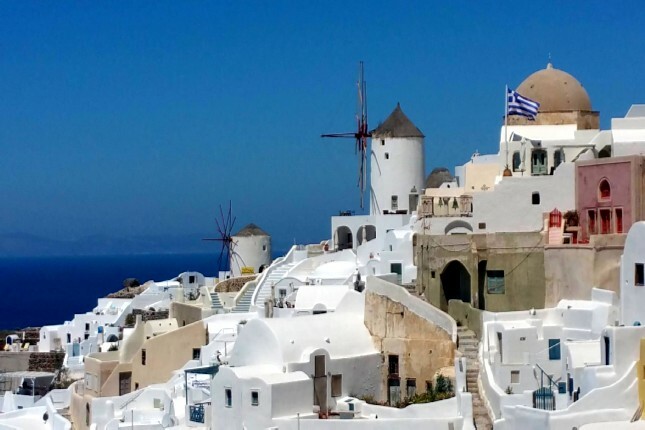 Your first stop will be at Oia, one of the most famous and most photographed villages in the world. 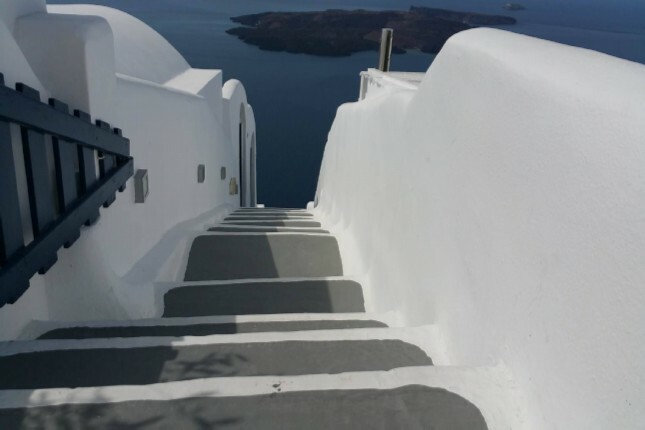 Oia is located on the other side of the island and stands out beautifully and full of impressive traditional houses, art galleries and domed churches. From there, a 35-minute drive through the picturesque countryside of the island will bring you to the traditional village of Pyrgos. 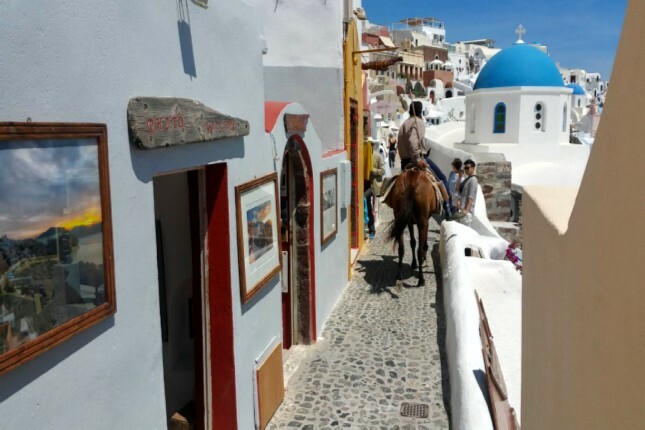 Pyrgos is a hillside village set on the highest point of Santorini, offering panoramic breathtaking views and close to the Monastery of Profitis Ilias. 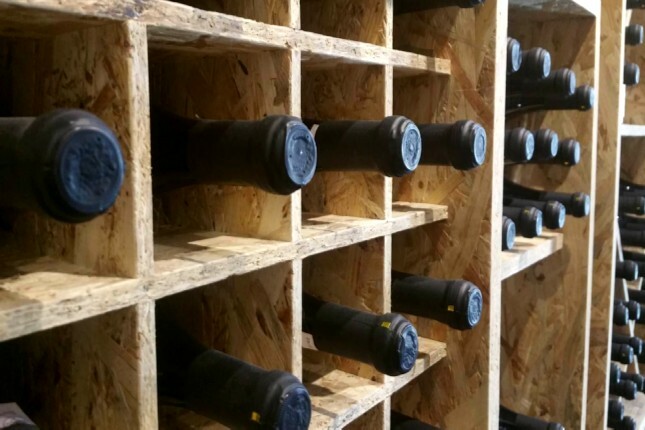 Your exploration of the island will continue with a visit to the famous Venetsanos Winery, where you will have the unique opportunity to enjoy a wine tasting experience in one of the canavas. 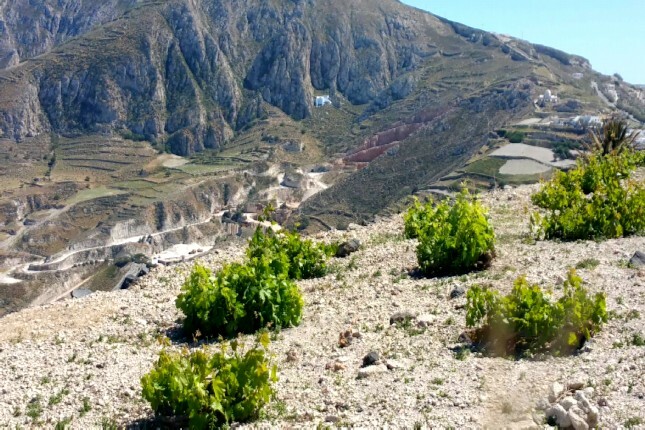 The vine groves produce a wine rich in taste, but in limited production, therefore, not much of it is exported. A stop for a refreshing dip or lunch at the renowned Black Beach of Kamari is a must for anyone visiting this mysterious, awe-inspiring island. 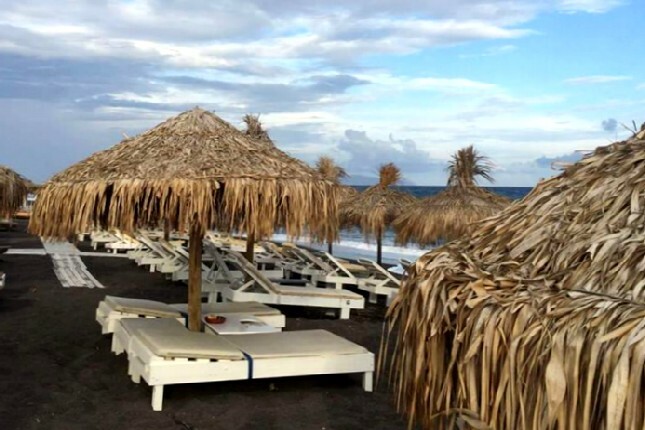 It is arguably one of the most famous and beautiful beaches of Santorini. 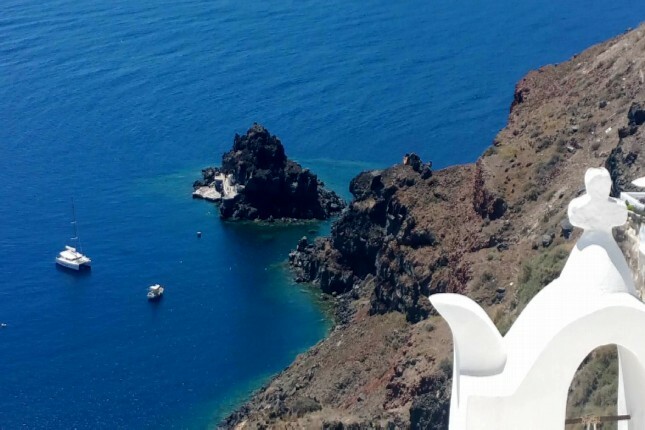 Finally, return to Fira where your tour will be completed. You can either spend time exploring Fira village at your leisure OR take the cable car to return to your ship. 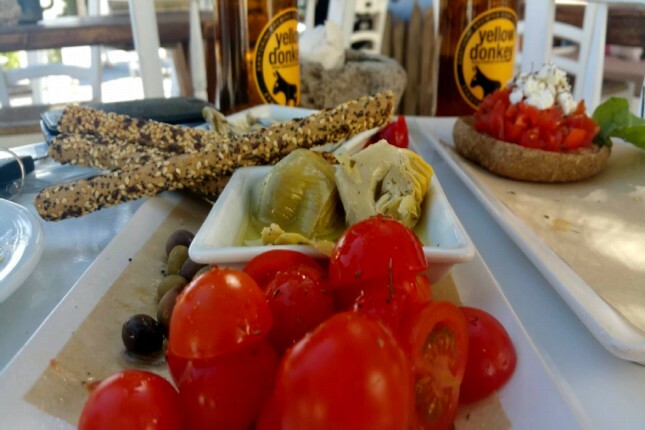 If you are on an afternoon tour, you may even watch the spectacular Santorini sunset from the cliffs of Fira accompanied by a drink or a snack with wonderful music in the background ! 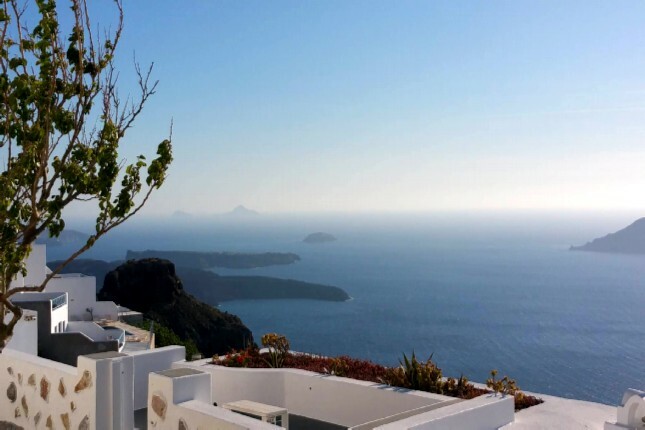 Capture the magnificent view of the volcano and the Caldera as you spend at least 1 - 1½ hours in Oia. Wander through Pyrgos small winding cobblestone lanes and paths and discover its historic charm. As you drive past the fields, notice the vineyards which are nothing like those elsewhere. Kept low and just above the soil, they absorb every single drop of moisture that comes from it. 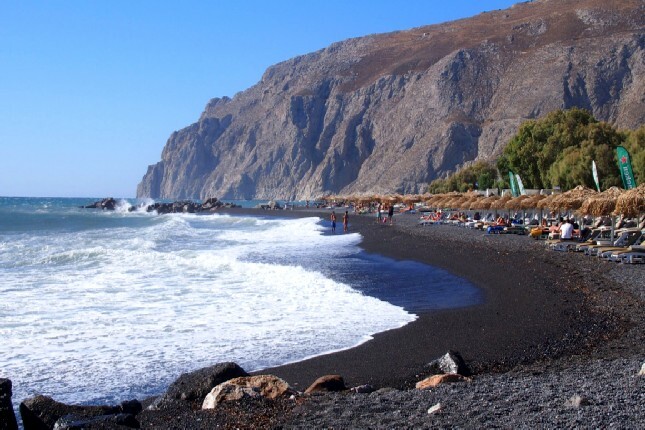 Cool off at the black volcanic pebble beach of Kamari. 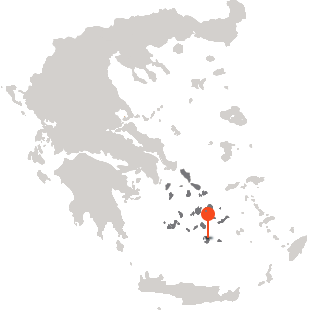 Its unique lunar landscape and the exceptional clarity of the Aegean Sea are simply superb. 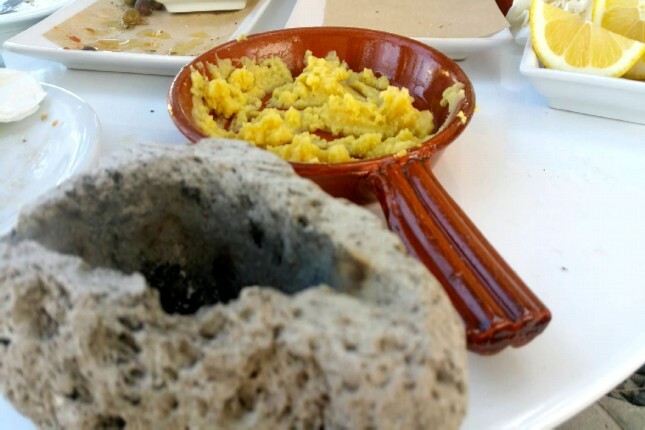 Try the unique local cuisine, its exquisite cherry tomatoes and fava, in one of the tavernas of the area. 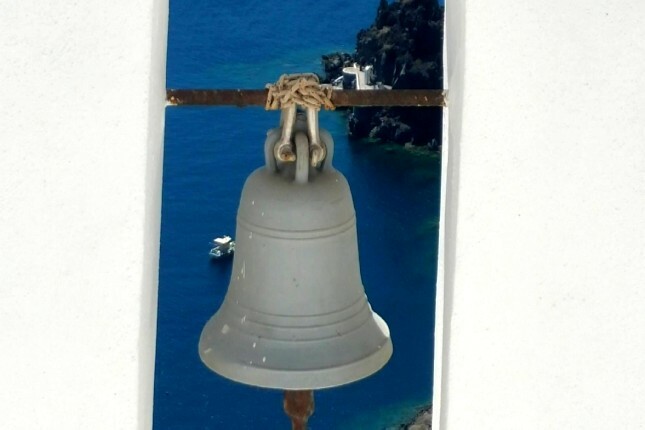 Back in Fira, your tour guide will give you tips and suggestions so as to enjoy the last moments of your Santorini experience.